This adventure filled Kashmir and Ladakh tour explores the variety that is India. Beginning in Kashmir you'll stay at a houseboat on a beautiful lake. Relax aboard romantic Shikara and experience the enchanting floating gardens and Mogul gardens. Visit some very exciting resorts, enjoy horseback riding. 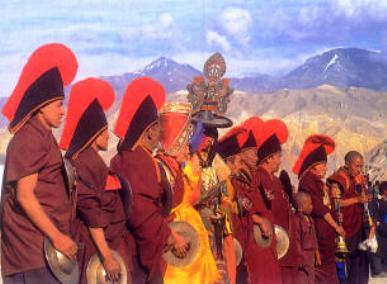 Then it is off to Ladakh with its lunar landscape and ancient Buddhist culture. 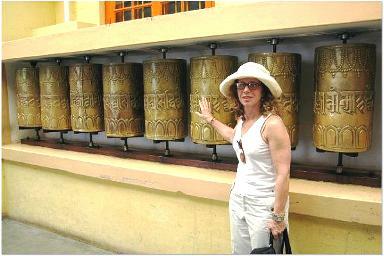 Finally top it off a grand tour of Golden Triangle of India Delhi, Jaipur and the famous Taj Mahal. Welcome aboard flight to Delhi, enjoy the regal hospitality by silk sari clad hostesses. Indulge yourself with delicious Indian and Continental cuisine. This evening arrive in Delhi, where you'll be received and escorted to Hotel Ambassador/ Hotel Qutab. Fly to Srinagar upon arrival you will be escorted to deluxe houseboats. Afternoon at leisure. Cruise through Dal and Nagin Lakes float through a network of canals to the enchanted floating gardens of Nishat and Shalimar; built in the 16th C. by Moghul emperors. Lunch will be served onboard the Shikara (Gondola). Today travel by car to Gulmarg, world’s class resort at 9,500ft. and flanked by Nanga-Parbat, a 28,000ft.peak. There is horseback riding to Khilanmarg and a chairlift for an aerial view. Gulmarg features a lovely golf course-the highest in the world and was a former playground of the Raj. Morning departure by car/coach to Kargil, enroute stops include Sonamarg and Baltal hamlets famous for rugged snow peaked meadows. Past Baltal cross over Zoji-La Pass 11,500 ft. we are in Drass valley with strikingly different landscape dotted with remote mud huts giving an impression, that you really have traveled back in time. After a passport check we continue on to Kargil. Overnight in a local hotel/Inn. Morning visit to local Immambarah and Turkish inspired architectural structures from the Silk route days, when this used to be a major stop for Central Asian trade route. Enroute to Leh stops include Mulbekh Monastery, perched on a mountain over the village of the same name, known for the huge image of Buddha carved from a giant rock. After Mulbekh, continue on to Alchi and Likir Monasteries. These monasteries house Buddha and renowned 1000-year-old religious wall paintings. This evening arrive in Leh and check into local hotel/inn. Wakeup to this exciting ancient capital of Ladakh, which was a major trading post in the heydays of Silk route era. To acclimatize we'll stroll thru the ancient bazaars of Leh and stop at numerous Buddhist neighborhoods and visit a local family. miles from Leh is this monastery that has a formidable collection of miniature of pure gold and a number of exciting paintings. It is well lit and may be visited in the evening as well. 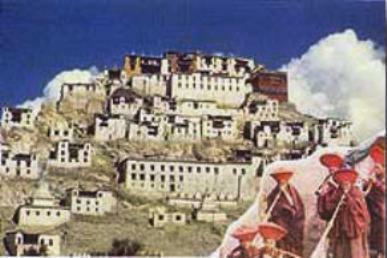 On our way to Kargil, we'll stop at Fiang to visit the monastery of the Red sect. Of Buddhism. Fiang Monastery possesses some of the most exquisite statues and Thankas ever assembled. Further along we'll descend into the Indus valley, where a sudden bend reveals a strange village, Lamayuru and Ladakh's oldest monastery. There are also ancient caves carved from the mountain. Overnight at a local Kargil Inn/hotel. Today we return to Srinagar and the deluxe comfort of our houseboat. At leisure for swimming, water skiing or sun bathing. Today you'll visit some cottage industry units, where you'll have a firsthand look at men women children create some fine world class handicrafts. This evening enjoy a special feast. This morning fly to Delhi and drive directly to Agra, home city of the famous Taj Mahal and the Agra Fort. Taj View/Clark's Hotel. Today's highlight is an elephant ride to the Amber Fort followed by exploration of the city and bazaars. Afternoon sightseeing at the City Palace, the Albert Museum and the Observatory. Later on leave for Delhi. Arrival and transfer to hotel. This evening is free. Early morning departure from Delhi to New York. 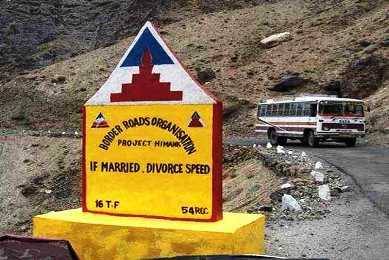 Ladakh Highest paved road in the world 16282Ft.